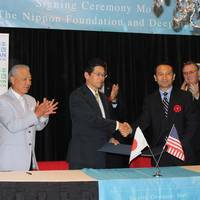 Japan's Nippon Foundation and Deepstar signed a Memorandum of Understanding (MOU) recently which essentially will allow Japan to tap the expertise and resources of DeepStar to help Japan discover and recover new-found subsea resources, as well as educate future generations of Japanese. The MOU was signed on May 1, 2018 at the Hotel ZaZa in Houston, and speaking at the event Nippon Foundation Chairman Yohei Sasakawa said "We need to acquire the resources to discover and reach (our) natural resources. The Japan Ship Machinery and Equipment Association (JSMEA) and Maritime Reporter & Engineering News hosted a reception on Tuesday, May 1, 2018 at Minute Maid Park in Houston in conjunction with the Offshore Technology Conference. 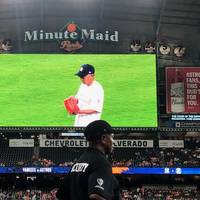 More than 200 guests from around the world enjoyed hospitality at the ballpark in downtown Houston, and a highlight of the evening was Nippon Foundation Chairman Yōhei Sasakawa delivering the first pitch of the game with a perfect strike down the middle of home plate. 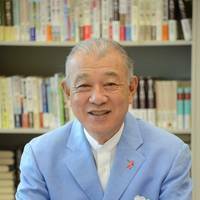 Yohei Sasakawa, Chairman of the Nippon Foundation, has received the 2014 International Maritime Prize for his contribution to the work of the International Maritime Organization (IMO) over many years and, in particular, his personal commitment to supporting the development of future maritime leaders and his contribution to the enhancement of safety and security in vital shipping lanes. 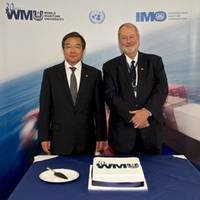 In a ceremony on 23 November, following the first day of the 29th session of the IMO Assembly, IMO Secretary-General Koji Sekimizu presented the award, in the form of a silver dolphin, to Mr. Sasakawa. 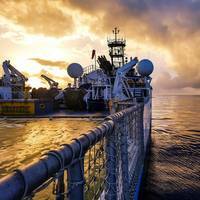 On 29 October 2015 the research icebreaker Polarstern will leave its homeport in Bremerhaven for Cape Town, South Africa, where it is expected to arrive on 1 December. 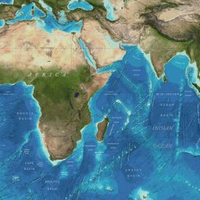 It will take 32 students hailing from 19 countries on board, who will be introduced to the latest methods and instruments used in oceanography. Nine instructors from the Alfred Wegener Institute, Helmholtz Centre for Polar and Marine Research (AWI), the FU Berlin and Ireland’s Galway-Mayo Institute of Technology will teach the participants in the “floating summer school”. 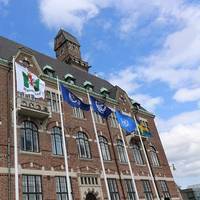 Expanded premises for the World Maritime University (WMU) were inaugurated on Monday, May 19, 2015 in Malmö, Sweden, by IMO Secretary-General and WMU Chancellor Koji Sekimizu. 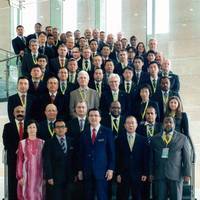 WMU is an international educational institute for the maritime community, operating under the auspices of IMO. At close to 6,000m2, WMU’s new facility is nearly double the size of the previous Malmö campus. It provides a new auditorium, multiple research laboratories, seminar rooms and video-conferencing capabilities for hosting international conferences. 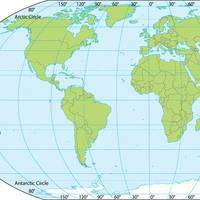 For a fifth consecutive year, the United Kingdom Hydrographic Office (UKHO) has delivered a successful outcome from its internationally renowned and accredited marine cartography courses to a group of students drawn from seven nations. 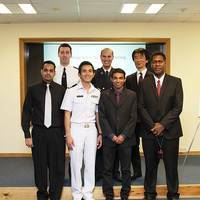 Students from the Hydrographic Organizations of Algeria, Bulgaria, Solomon Islands, Sri-Lanka, Thailand, Trinidad and Tobago, and Japan arrived at the UKHO in Taunton, Somerset in September to undertake the intellectually challenging 15-week program. 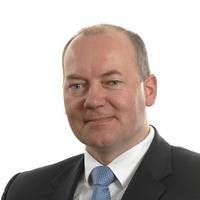 Danish Shipowners' Association in collaboration with the World Maritime University; BIMCO; The Nippon Foundation and the Japanese International Transport Institute will focus on maritime corporate social responsibility (CSR) at the Culture Yard in Helsingør on Tuesday November 12, 2013. The conference, entitled " Northern European Shipping CSR Symposium - Making the Business Case for a Sustainable Shipping Industry " derives in part of the Rio +20 sustainable global development based on voluntary participation by private companies . Focus will be both theoretical and practical on how European companies and organizations engaged in CSR and on the triple bottom line, which consists of profit but also social and environmental aspects . As the annual Day of the Seafarer dawns (June 25), InterManager, whose members manage more than 250,000 of the world’s seafarers, has reaffirmed its commitment to crewmembers with a package of activities aimed at addressing crew-related issues. The association, whose members are involved in the management of a third of the world fleet, is working with industry partners and training institutions on a number of projects to benefit crew members throughout the global shipping sector. MOL Earns Commendation from Cambodian Government for Role in Transport of Medical Vehicles and Equipment. TOKYO—Mitsui O.S.K. Lines, Ltd. (MOL; President: Koichi Muto) today announced that it has received a commendation from the government of Cambodia for its support of a project to supply the nation with medical vehicles and equipment in Phnom Penh. MOL co-operated with non-profit organization (NPO) Side By Side International (SBSI)* to transport 34 medical vehicles and other equipment to help the nation develop an emergency first-aid system. Aiming to Meet the IMO's Tier III NOx Emission Controls Nippon Yusen Kabushiki Kaisha, Oshima Shipbuilding Co. Ltd., Mitsubishi Heavy Industries Ltd., Akasaka Diesels Limited, and Sakai Chemical Industry Co., Ltd are to begin shipboard tests of selective catalytic reduction (SCR) nitrogen oxide (NOx) removal equipment installed on NYK Line's new bulk coal carrier Initial Salute, which was built by Oshima Shipbuilding. 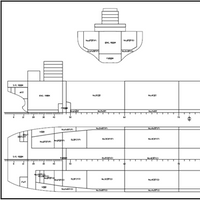 Shipboard trials of SCR NOx removal equipment were conducted during the voyage of Initial Salute. Once the equipment was verified to meet the tier III NOx emission controls stipulated by the International Maritime Organization (IMO),* it was decided to leave the equipment in place to collect more data through tests to be conducted during actual operational voyages. On July 24 and 25, Maritime Administrator Sean T. Connaughton led a delegation of U.S. maritime officials in meetings in Tokyo with Japanese counterparts to discuss issues of mutual interest and challenges facing the maritime industry, both around the world and in the bilateral trade. The talks reflected the major concern of both countries about the impact on the shipping sector of the rapidly expanding consumption of liquefied natural gas (LNG) around the world. With the surge of new specialized vessels to carry LNG entering service, the demand for qualified seafarers is becoming urgent.